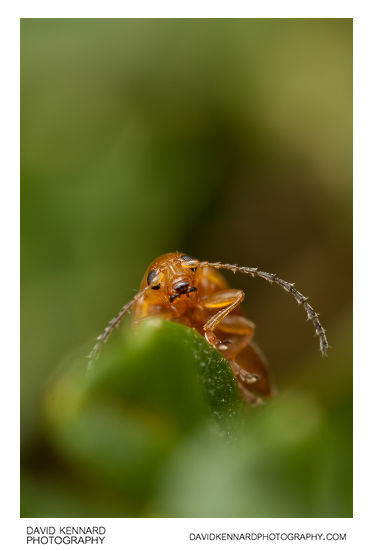 I recently finished processing a bunch of Tansy Ragwort Flea Beetle photos from 2009. 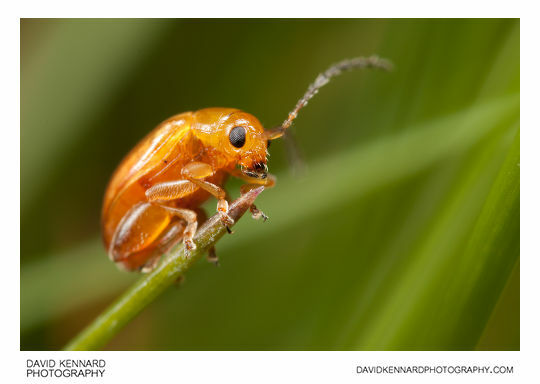 The photos were originally taken when testing out different flash diffusion methods for working with the Canon MP-E 65mm lens, as the beetle's reflective body makes a good test of how well the flash diffusion method works. I now have over 120 photos of the Tansy Ragwort Flea Beetle on the website, which I think must be the largest collection of Ragwort Flea Beetle photos on the internet. If you browse through the photos, you can see that some flash diffusion methods didn't work very well at all, while others worked okay. (Look at the amount of blown-out highlights). Although I have quite a few photos of the Ragwort Flea Beetle on the website now, I had 896 (mostly out of focus) photos of the beetle just from this flash diffusion comparison. 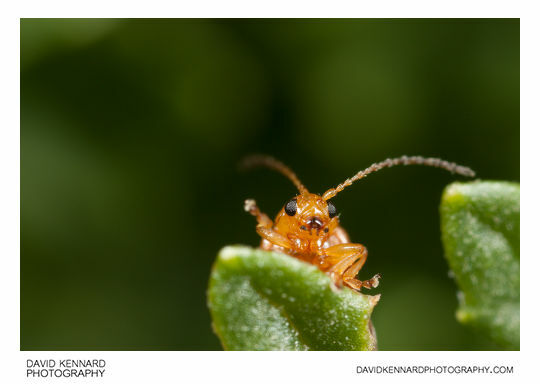 I expect I also have many other photos of the beetle still on my hard-drive awaiting processing from other macro photography sessions. 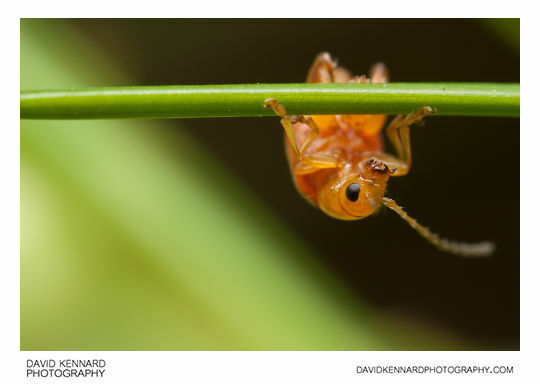 The beetles seem to be constantly on the move, so keeping them in focus is quite difficult. Quite often the leaves of the ragwort plant that they live on will block part or all of the flash, making lighting difficult, especially if you trying to keep the lighting consistent between shots. Manual focus tracking is just a case of practice, practice, practice (something I haven't done much of lately). Regarding the flash being blocked, sometimes this is something that can't be fixed (unless you don't mind pulling the offending leaves off the plant). Otherwise it's a case of keeping track on whether leaves are blocking the flash or not, (quite difficult to do while you're also trying to track the moving beetle in the viewfinder), and then moving the flash or leaves to prevent the flash being blocked. I won't bother posting the details of the flash diffuser comparisons I took these photos for, as I ran an updated comparison of diffusers for the MT-24EX Macro Twin Flash this year, making the 2009 comparison I did obsolete.